White Throated Mountain Gem measures 2.5 x 3.5 inches and is painted on Colourfix Smooth Paper. Green and Black Fruiteater measures 2.5 x 3.5 inches and is painted on Colourfix Smooth Paper. 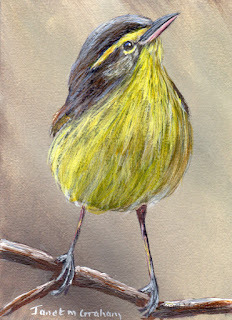 I couldn't resist painting this one as one of my favourite feather colours to paint are yellow feathers. 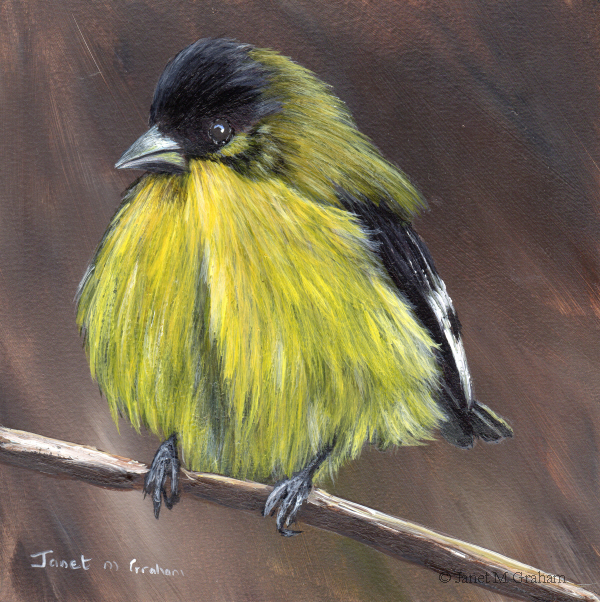 Lesser Goldfinch measures 5 x 5 inches and is painted on Colourfix Smooth paper. I haven't painted a flower for ages and decided to paint this lovely red rose. 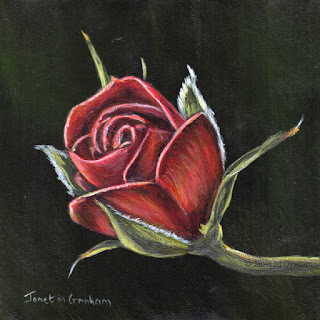 Red Rose 2 measures 5 x 5 inches and is painted on Colourfix Smooth paper. 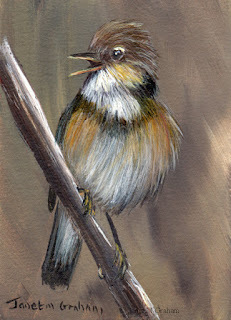 I love how this one is perched on the tree trunk. 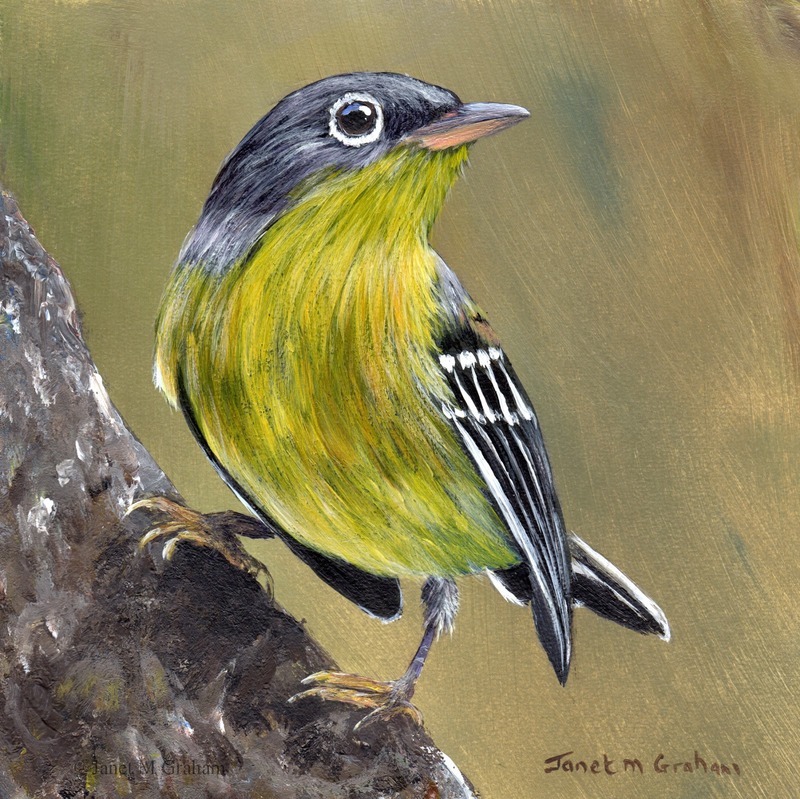 Magnolia Warbler No 3 measures 6 x 6 inches and is painted on Colourfix Smooth Paper. Really pleased with how this one turned out. I did quite a few layers / glazes to get the depth to the feathers. 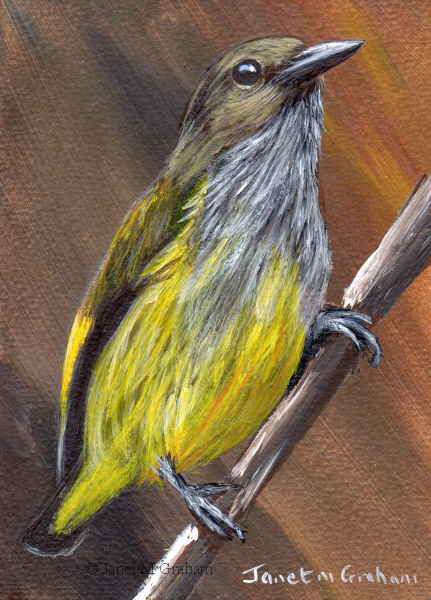 Andaman Flowerpecker measures 2.5 x 3.5 inches and is painted on Colourfix Smooth Paper. 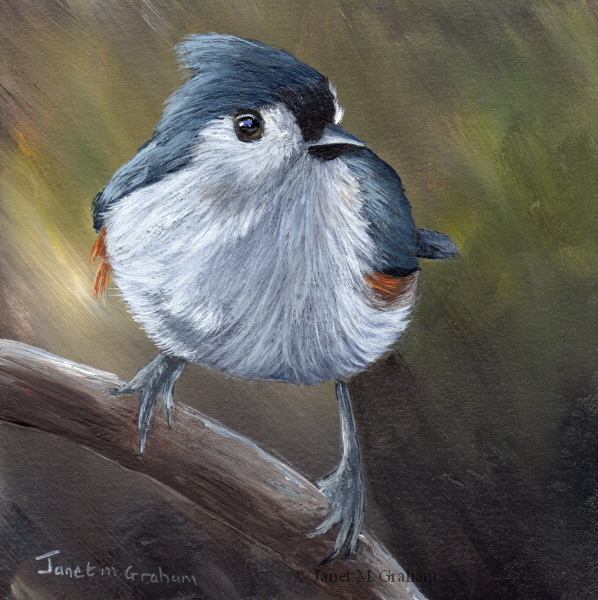 Tufted Titmouse No 13 measures 5 x 5 inches and is painted on Colourfix Smooth paper. 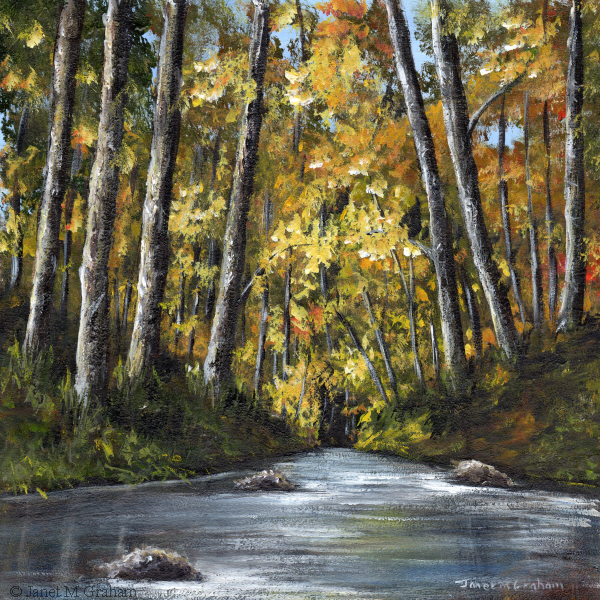 Really enjoyed painting this one - everything just seemed to work. 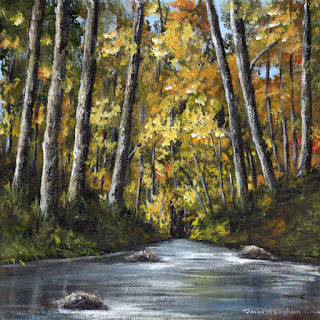 Autumn River No 3 measures 8 x 8 inches and is painted on Colourfix smooth paper. I rather enjoy the challenge of painting earthy colours so couldn't resist painting this one. Really please with how it turned out. Canyon Wren measures 3.5 x 2.5 inches and is painted on Colourfix Smooth paper. 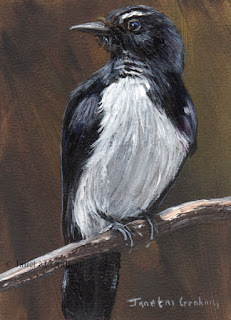 I enjoyed painting this one - it is a bit tricky painting black feathers but also rather fun as you start off with blues and reds in the base layer and build up the black feathers from there. Willie Wagtail measures 2.5 x 3.5 inches and is painted on Colourfix Smooth paper. I couldn't resist painting this one as I just love painting yellow feathers. It took quite a few layers to get the depth to the feathers and I am really pleased with how it turned out. 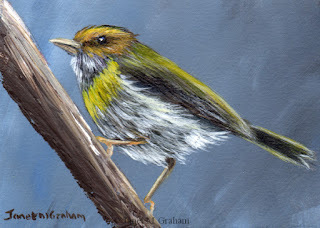 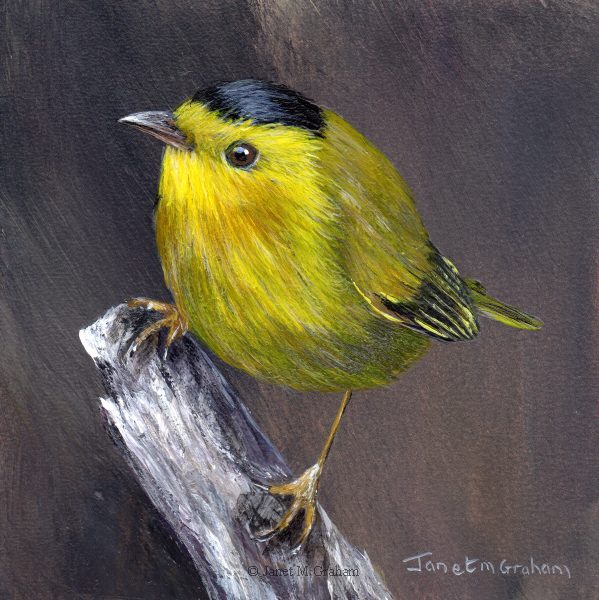 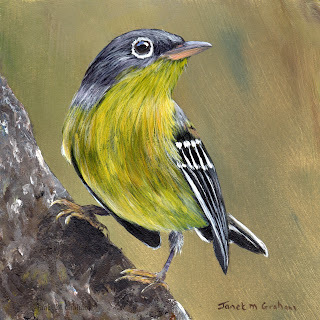 Wilson's Warbler No 2 measures 5 x 5 inches and is painted on Colourfix Smooth paper. 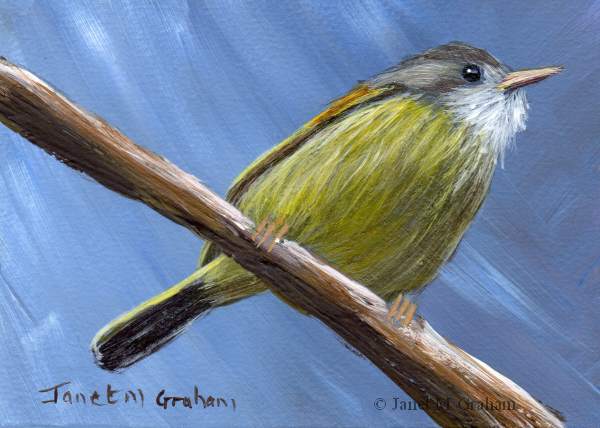 Eurasian Reed Warbler measures 2.5 x 3.5 inches and is painted on Colourfix Smooth paper. 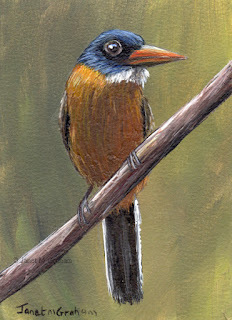 Green Backed Kingfisher measures 2.5 x 3.5 inches and is painted on Colourfix Smooth Paper. 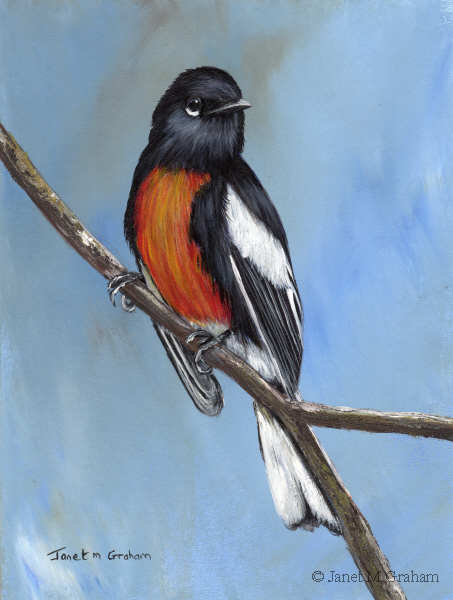 Painted Redstart No 2 measures 6 x 8 inches and is painted on Colourfix Smooth paper. 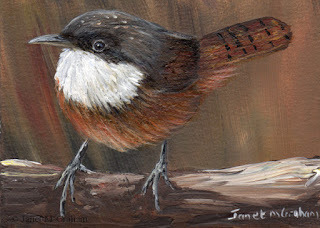 Rufous Faced Warbler measures 3.5 x 2.5 inches and is painted on Colourfix Smooth paper. 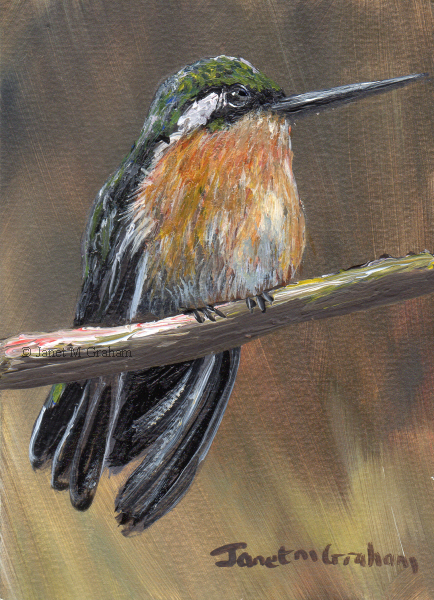 I love the colours of this one's feathers. 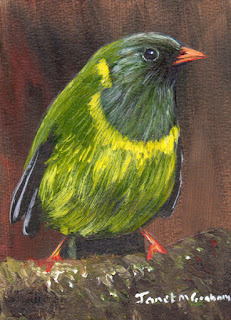 Senegal Eremomela measures 3.5 x 2.5 inches and is painted on Colourfix Smooth paper.